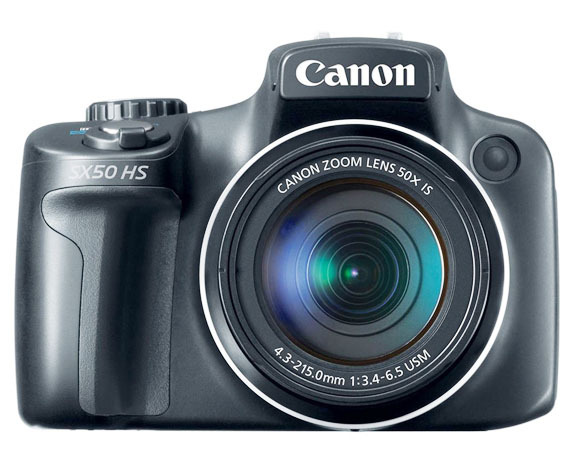 The Canon SX50HS has the largest zoom ratio at 50-X of any compact DSLR type of camera at the time of its introduction. It has a fast Digic 5 processor, 1080 HD video and a vari-angle, rotating LCD screen. It is the upgrade to the popular SX40 and comes with a very nice software bundle, lens cap, neck strap, lithium ion battery, and charger. You'll need to buy your own memory card but memory is so relatively affordable these days. The 50x zoom is an incredible range of zoom power to pack into one lens. Just remember that at extreme zooms, you may need a very high shutter speed or the support of a tripod to get sharp images, due to the extreme magnification that you can achieve. 13 Frames per second is faster than many of the full-sized sensor pro-cameras. Of course, you can;t shoot that fast when using the flash, but it is great for sports and outdoor, fast action photography. Has a hot shoe mount on top of the camera for adding an external speedlite like the Canon 270EX II. I am not a big fan of the tiny pop-up flashes on any camera. If you want to take your flash photography to a much higher level, the SX50HS gives you that option to add a better flash capability. Shoots RAW image files. For you photographers who may want to "process" your photos in a couple of ways after you first take it. Shooting "raw" lets you make adjustments in contrast, color, brightness, sharpness and many other ways without losing the original camera capture. Optical Viewfinder. This is a biggy for me, personally. I absolutely hate awkwardly holding a camera out in front of me to compose a photo while using an LCD screen to compose a photo. Bigger Camera Body. If you are accustomed to a slim point and shoot camera, this will seem like a big camera to you. This may not be an issue for you, but watch the video below to get a good idea on size. It is smaller and lighter than a traditional SLR (single lens reflex) camera but quite a bit thicker than the Elph and some PowerShot cameras because of its unique lens. Sensor Size. This camera has a 1/2.3 sensor which is smaller than my 1/1.7 sensor on my G11. If you want to print your photos as large wall prints, you may be disappointed with quality. If you want to use this camera to capture family and friend memories, share on FaceBook or Pinterest, or just prints snapshots and small enlargements, you will be happy. Here is a short video doing a Canon SX50HS review. It does a good job of showing you how big it will be in your hands and describes the main features of the camera. Good luck. Additionally, having a DSLR type of camera like the Canon SX50HS gives you a lot of options for add-ons. 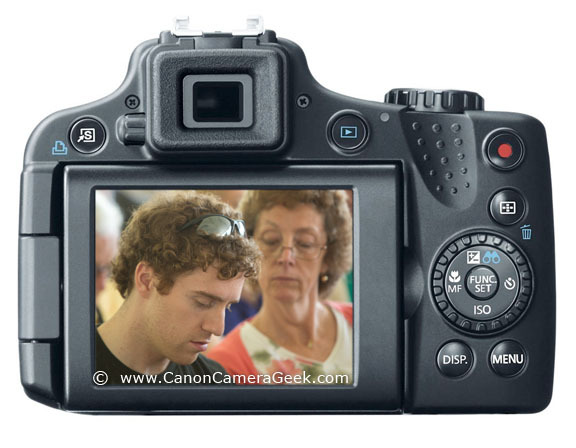 There is a whole world of Canon Camera Accessories available with this type of digital camera. I also like the ability to shoot in manual mode. Again this is a feature that simply isn't of interest to many shooters. I like having control of the camera settings in some situations, particularly those of unusual lighting conditions. Shoot more Canon photos. Shoot better Canon photos.